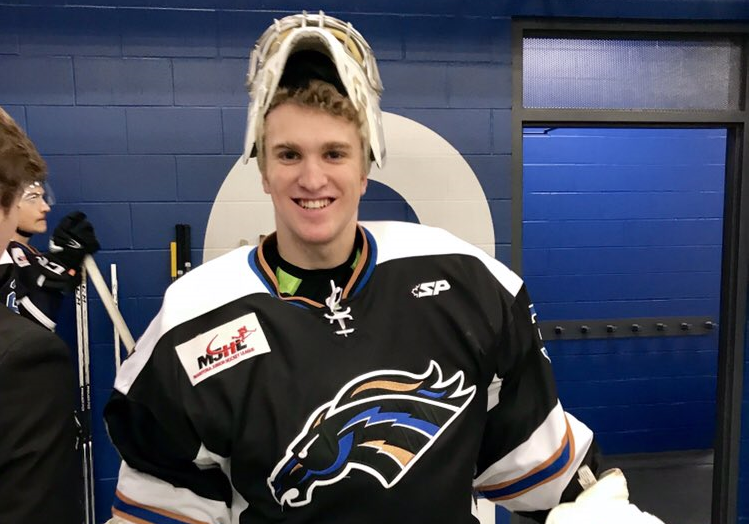 It’s been quite the season for former La Ronge Ice Wolves goalie Merek Pipes since he joined the Swan Valley Stampeders in the Manitoba Junior Hockey League. Swan Valley acquired Pipes in November through a trade with the Ice Wolves. Coming back to La Ronge in the deal was future considerations. In 24 games with the Stampeders, the Cobble Hill B.C. product has posted a 2.25 GAA and .931 save percentage. He also has four shutouts and 15 wins. The Stampeders currently sit in second in the overall standings with their superb 34-10-3-2 record. When he was still with the Ice Wolves, Pipes committed to play at Union College for the 2019-20 season. Union College is an NCAA Division 1 program located in Schenectady, NY. Pipes and the Stampeders get back to work on Saturday at home when they host the Winkler Flyers.